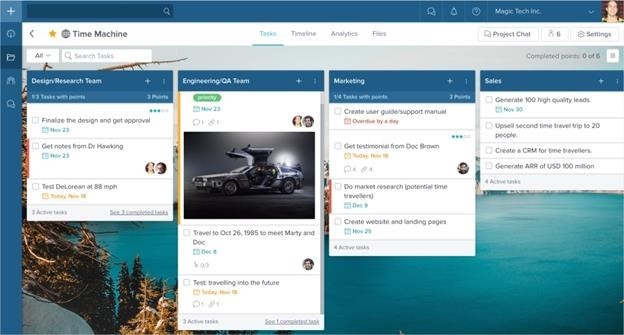 Project management software has become a fundamental need for large teams these days. You need a project management solution when you are coordinating with too many people for task allocation, fetching progress reports, resource allocation, setting deadlines, and checking whether everything is going as per the plan. Taskworld is one such project management platform that lets you derive more productivity out of your team. Taskworld combines the goodness of Kanban and traditional task management practices for getting the best results. You may argue that many other project management solutions out there offer the same benefits, which is certainly true, but Taskworld is different. It has an array of immensely useful features that others lack. Taskworld makes project management easy with its attractive interface. The information is presented not just in text, but also in the form of intuitive graphs. All this makes working on Taskworld a beautiful experience. The interface is so straightforward and clean that it is to tell the depth of its features. 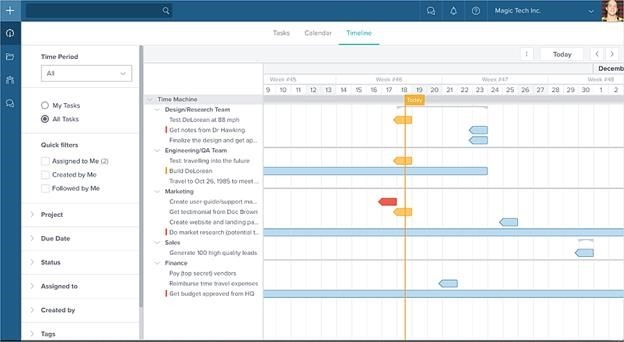 Taskworld presents you with a timeline of all your tasks and projects, unlike Trello, which has to rely on third-party integrations. This ensures that you are on top of things always and helps you decide where to allocate extra resources for optimal time and cost savings. 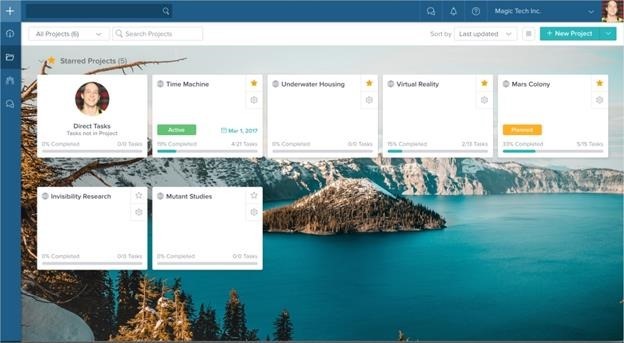 The ability to let the users task in multiple projects simultaneously is what sets Taskworld apart from Trello. It lets you create tasks in multiple projects which lets you update any task in multiple locations. 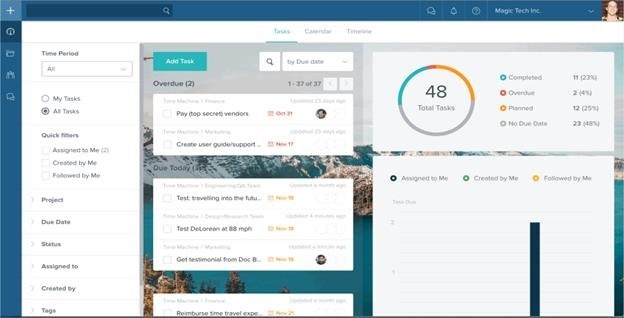 It lets you manage your tasks related to all projects using just one single window. You can also filter the projects based on various parameters like status, due date, created by, assigned to, and more. The tasks are separated based on their due dates with different colour schemes. There is also a colour-coded pie chart which shows the tasks according to their due dates. Taskworld comes with rich support for instant messaging too. You can communicate with your teammates in different channels for different projects, and stay up to date with all the happenings. Taskworld chat is a highly securely alternative to mass chat apps. You can access the chat and track your work on mobile devices too. Taskworld also supports ‘Direct Messaging’ that can be used for seeking one-on-one guidance and discussing conflicts. 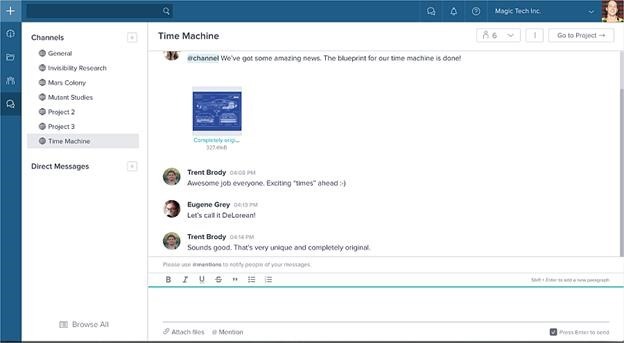 This enterprise messaging lets you be in sync with your team always, and thus lets you take the right decision at the right time. Taskworld is extremely easy to use and you do not have to waste any time for setting things up before starting a new project. You can add a number of projects and see the status of each project along with its start date right from the ‘Projects Folders’ window. You also get unlimited storage that lets you add as much information as you need without worrying about the storage space. Taskworld takes project monitoring one level higher with its Project Health Status reporting and analytics. 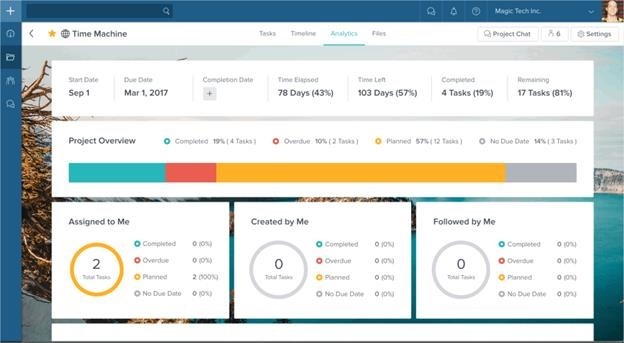 It shows the current project status along with its start date, completion date, time elapsed, time remaining, and amount of tasks finished and left, so that the necessary action can be taken in time. One of my favourite features of Taskworld is its interactive Dashboard, showing the activities to be carried out by various teams. You will see the list of tasks here along with comments, images, and colour-coded due dates. If you are looking for a project management solution for your business, then Taskworld is worth a try. Thousands of teams in more than 80 countries use it across the world and who knows you might find a solution that best matches your requirement. "7 Reasons Why You Should Choose Taskworld For Efficient Project Management", 5 out of 5 based on 1 ratings. Xiaomi Announces Mi 5C With Self-Developed Surge S1 SOC; Scores More than Snapdragon 625 on GeekBench!